Paddy Poker is part of the iPoker Network, one of the most trusted poker networks around. The download for PaddyPoker is safe and secure, as it uses a 128-bit SSL encryption to protect all of your sensitive and private personal information. At only 5MB, the download is not cumbersome at all, and downloads and installs quickly. 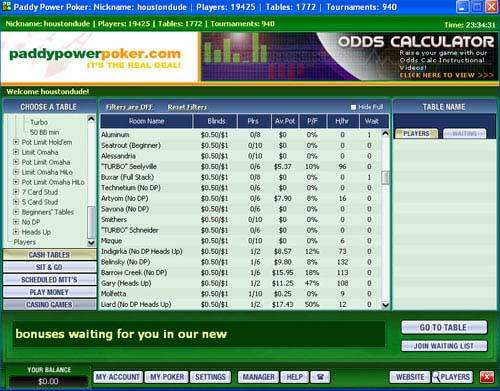 Setting up the software is easy as well, just a few T&C’s to agree to and you are on your way to playing at PaddyPoker. The download can be done in both English and Spanish, which appeals to the majority of the site’s participants. 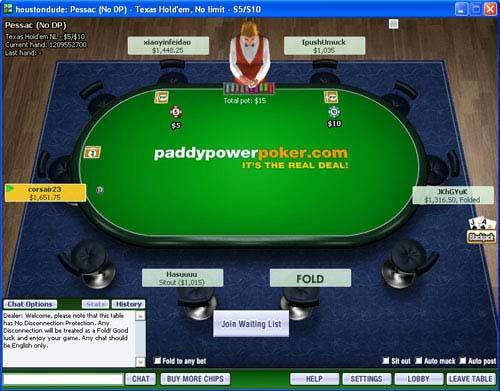 PaddyPoker is a growing skin of the iPoker Network. With huge tournaments, a large variety of cash games, and a constant stream of SNG’s, PaddyPoker is sure to only grow in the near future. The software is constantly updated with many key features of any top-end poker site.